You may exclaim if you hear that you suffer from this condition. Most people have never heard about it, but in fact, it is not too uncommon at all, especially in the older population group. The problem is that the symptoms are rather similar to symptoms which commonly occur in many other rheumatic conditions and doctors who are not familiar with it, may be confused. 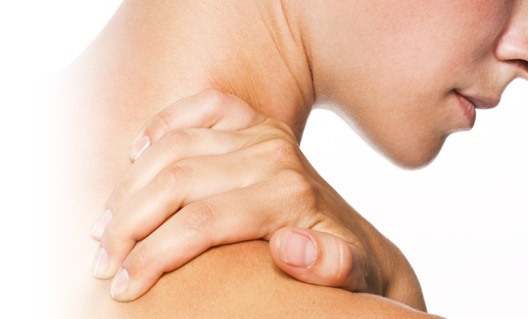 Polymyalgia rheumatica (PMR) usually, but not always, occurs in people of the older age groups (60+). The main symptoms are a feeling of severe stiffness and aching in the neck, shoulder and hip areas, sometimes so bad that a person might for instance hardly be able to get up from a chair or climb a couple of stairs. There may be additional symptoms e.g. fatigue, malaise, occasional swelling and pain of joints and even low grade fever. A feature which usually helps the doctor to make a diagnosis, is a very high sedimentation rate (this is a simple blood test), which, once the person starts treatment, comes down fairly quickly. Along with your sedimentation rate, your doctor will probably do some more blood tests to rule out other rheumatic diseases. NB: Every person who is very stiff in the mornings or after sitting for a while, or who has aches and pains, does not necessarily have PMR – as already mentioned, many other rheumatological conditions may cause rather similar symptoms. The golden rule is that if you do have any of these symptoms, you should see a Rheumatologist or specialist in physical medicine who will be able to sort these out for you and get you onto the proper treatment. We wish we knew!! It is believed that it probably has a combined genetic and auto-immunological background, which, under certain (unknown) conditions, lead to the disease. Cortisone!! (and probably for quite some time, too!!) Many people reading this will be horrified because they have heard awful things being said about cortisone. It is true that cortisone sometimes has bad side-effects, but the advantages in this case far outnumber the disadvantages. Remember that, for the right patient, for the right reason, at the right time, it is the right treatment. One must always balance the possible side-effects (which certainly don’t always occur) with the advantages of controlling a disease which, if not treated properly, could have complications far worse than any side-effects of the medication. 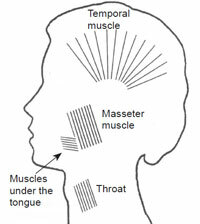 Muscles of the face which are affected by temporal arteritis (Giant Cell). PMR often overlaps with giant cell arthritis. The most feared complication of this is blindness, caused by inflammation of the arteries supplying the eyes. I’m sure that you will agree that most people would rather take cortisone than risk becoming blind! Once the sedimentation rate starts falling and the symptoms improve, the dosage of cortisone will also be tapered slowly. Your doctor will adjust your dosage according to your sedimentation rate as well as your symptoms – the idea is to keep your sedimentation rate at a normal level and have your symptom free. Eventually you will probably be taking a low dosage of cortisone for a longish period of time. 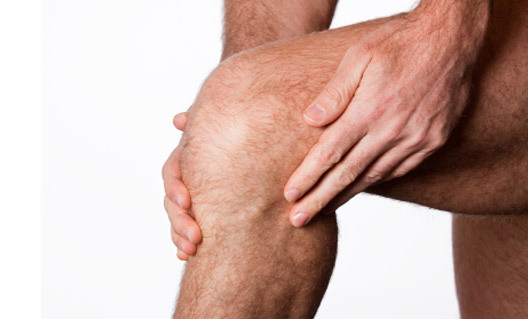 It is extremely important that the cortisone is not stopped too soon because then you might end up back at square one! Don’t become disheartened, even if it takes you 6 months, a year or two or three... to get off the cortisone you will eventually. Patience is the password!! Your doctor might also add some other medication to help make you feel better, e.g. an anti-inflammatory, but this certainly cannot replace the cortisone until you are disease-free.